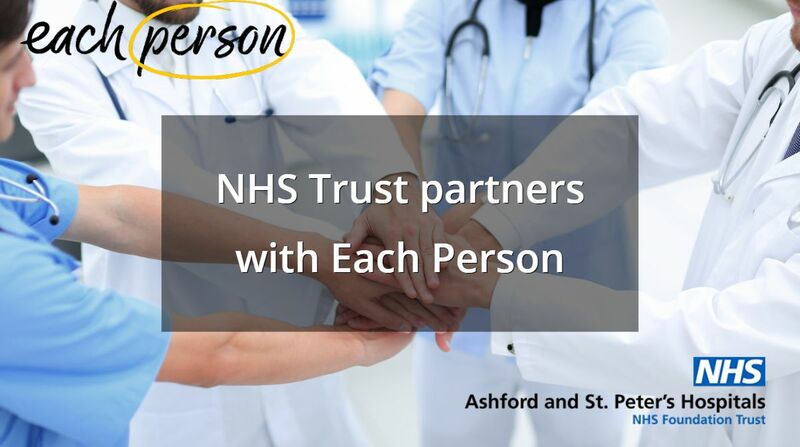 NHS Foundation Trust Ashford and St Peter’s Hospital, based in Surrey has partnered with Each Person to recognise and reward over 3,300 employees. Each Person is the recognition, reward and employee discount scheme, powered by multi-retailer platform and digital currency epoints. It offers employers a unique and flexible approach to showing appreciation to employees. The partnership extends Each Person’s growing list of clients. Through the partnership with Each Person, Ashford and St Peter’s Hospitals employees will now benefit from an extra 10% – 15% off at major online retailers, including Amazon, Argos, John Lewis and many more. Employees can shop multiple retailers all at once and get an extra 10% – 15% off the retailer’s price, even in the sales. The Each Person platform also enables companies to reward and recognise teams and individuals for meeting objectives and demonstrating behaviours that are aligned with core business values. Managers can send digital ecards to individuals or departments as a simple non-monetary acknowledgement and can attach the epoints currency to ecards as a reward. Employees at Ashford and St Peter’s are currently recognised with ecards and rewarded with the epoints currency for a range of reasons, from recognising the ‘Team Member of the Month’, to rewarding flu vaccinators for their support in the hospital’s recent flu campaign. The epoints currency can be spent on a huge range of gifts and experiences from multiple retailers in the epoints shop, where employees can also enjoy an extra 10%- 15% off the retail price. epoints digital rewards currency can also be collected outside the workplace as part of an employee’s everyday activity via the epoints app. Employees can top up their epoints by shopping online, playing games and inviting friends. The epoints currency can also be purchased online and gifted to and from friends and family. Great article. I really enjoyed!